First of all.. what is a Mortgage? 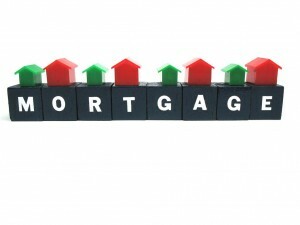 A mortgage is a financial instrument, an asset that can be bought and sold like a bond or a T-Bill. Although a mortgage is commonly used to describe a loan that is secured by real estate, a mortgage is really the security instrument or document. Just like every other investment, there are certain terms you should be familiar with. If you invest in shares you learn about P/E ratios, yields, beta, book value per share etc. the Note (or promissory note), which is the promise to pay. The note is the shorter document. It is not usually recorded although it can be recorded. The promissory note is not usually witnessed but must be signed by the borrowers. the Mortgage itself, which provides the real estate security for the promissory note. There can also be an assignment of rents agreement that says that if the borrower stops paying, the lender can collect the rent and set it against the money owed. The mortgage (or Deed of Trust in some states) is almost always recorded in the County Courthouse. The mortgage is signed by the borrowers in front of a notary and must be witnessed, usually by two witnesses. It bears a Notary Seal. Mortgage or Deed of Trust? Many states (like Florida) uses mortgages, others (like California and Arizona) use Deeds of Trusts. 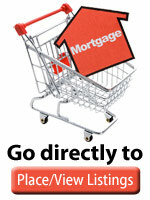 The main difference is that a mortgage has to be foreclosed judicially, in court. A Deed of Trust has a Trustee, a title company perhaps, who holds the Deed. Your local attorney, real estate agent, mortgage broker or bank can tell you what is used in your state. There are still different rules in Louisiana due to it’s French legal heritage. Some mortgages have balloons in them. A balloon is simply a lump sum payment made by the borrower, usually of the entire balance still outstanding at the end of the agreed term. A mortgage can be interest only, with the entire principal due at the end of the term, or amortized over a long period, say 30 years, but with the entire outstanding balance due in say, 5 years. It can be very scary to have a balloon about to “pop” on you, especially if interest rates have gone up and you can’t qualify for a new mortgage. If you are in this position, talk to the lender about allowing the mortgage to continue to run, even if you have to pay an increased interest rate. Although a mortgage is commonly used to describe a loan that is secured by real estate, a mortgage is really the security instrument or document. The promise to pay is a separate document, called a promissory note or simply a note. The note is the shorter document. It is not usually recorded although it can be recorded. The promissory note is not usually witnessed but must be signed by the borrowers. Follow through the course using the links below or jump around if you prefer.